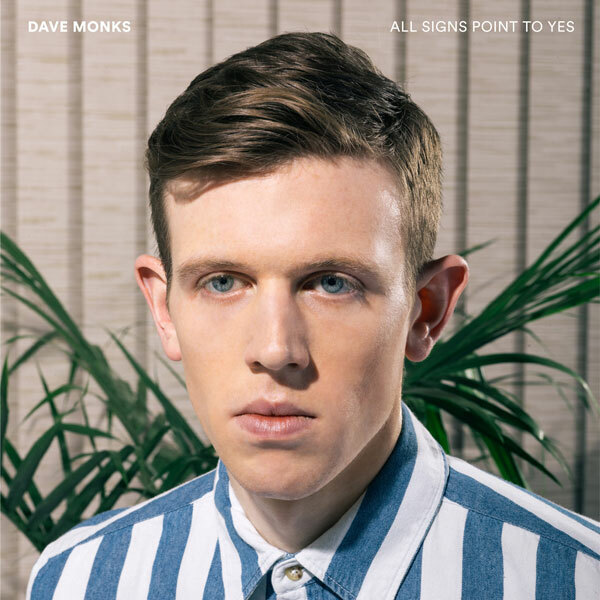 All Signs Point to Yes is the first solo release from Dave Monks, vocalist of the indie rock band Tokyo Police Club. This six track folk-pop EP features Monks accompanied by simple acoustic instrumentals. Overall, the tracks are light and airy, speaking of change, adventure, and the search for someone special. These themes draw on Monks’ own experiences: from a personal romance to the journey of transitioning from life in Toronto to Brooklyn. The bare sound of the EP, as Monks puts it, leaves “less stuff to hide behind”, creating an honest and sincere experience that lets one into his mindset. Of this, Monks says “It could be too honest for some people but..I appreciate the connection that comes from sharing something that somebody might not have seen, that’s not visible to the naked eye.” This openness to revealing his raw emotion puts Monks in a vulnerable place, but as he mentions, it also ushers in a connection with the listener. The casual sound is perfect for summer, with the overall minimalism adding to a care and stress free vibe. Vegas is the first track off the EP, helping to set the tone with talk of losing yourself through adventure in (you guessed it) Las Vegas. Though still upbeat, Gasoline brings in a somber mood of needing “someone to rely on” and the darker side of an escapade. Interestingly, it introduces the idea of needing someone to share adventure with. This is followed up with The Rules, which speaks of blending in (“I just play along//and I can’t break the rules”) while simultaneously naming people and exposing their relationships (“Michael I know//She cheated you bad”), creating an odd contrast. The Miss You track repeats the downcast sound and general meaning of Gasoline, keeping it from being as fresh and interesting as the other songs. A subtle electric guitar and a slowed down sound is introduced with Heartbeat Blues, giving a new twist to the love theme that Monks frequently reflects on. The final track, Summer Dream, illustrates Monks daydream of finally meeting the perfect girl. The return of the initial airy sound through the clear strum of the guitar in Summer Dream helps to bring this EP full circle. Monks based his solo sound on “trying to understand what people really want to get out of music”, and with this EP, he’s well on his way.